I can see why people get confused, but yup - definitely two states. 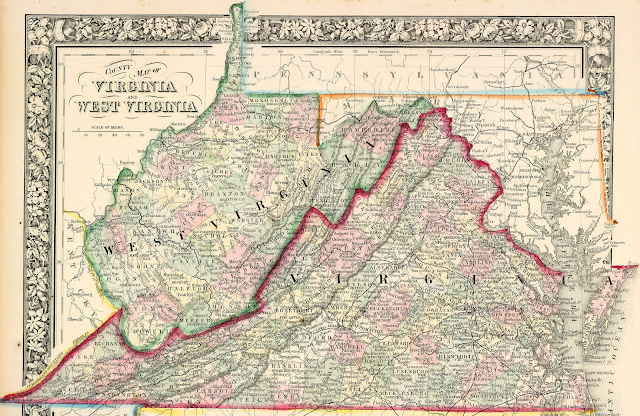 I have been to Virginia many times, but never west Virginia. It's funny that people think West Virginia is part of Virginia. I get the same thing because I live in South Carolina - a different state than North Carolina. You do have a lot of great parks to visit in your beautiful state. One of the best ways to get an education is to get out and see what your state has to offer. Wonderful you did this road trip and showed your children first hand what West Virginia has to offer. West Virginia is a fantastic place to visit. We were in Wheeling at Oglebay and we had a great time. What an amazing place to visit. West Virginia seems so green, love all the trees and grass then out comes the technology buildings! Think my kids would love this place too. Thank you for sharing. You'll seem to find such cool places to check out. And it's pretty neat when you can find fun places to go in your own state. When I go on vacation I usually do go out of state but I think I need to explore more in my own state like you are. Looks and sounds like a nice place to visit. I love the country. It's so refreshing. 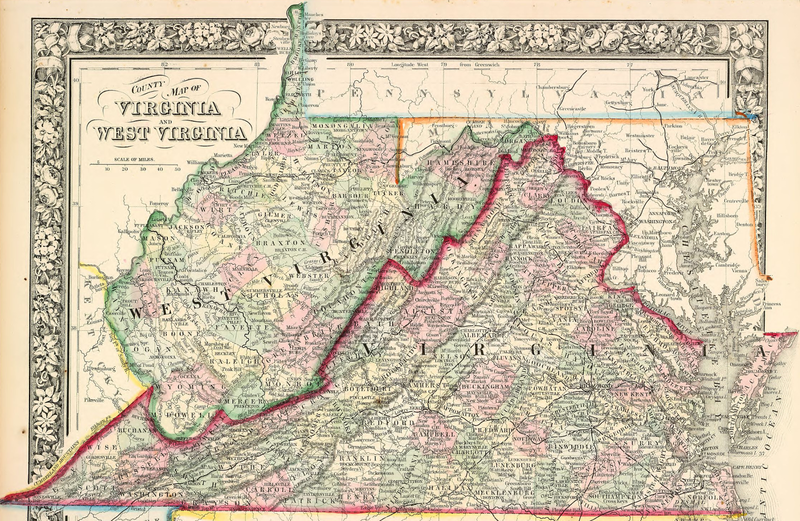 The states of Virginia and South Virginia often confuse me in location just like North and South Carolina. They're all too close for me to tell them apart because I don't see the map that often. I'm from West Virginia! My family is from Barbor County and I was born in Morgantown. It still makes me laugh that people get it confused with VA. I have never been to this part of the country. Looks like a beautiful place to visit. I hope to take a trip soon. We love doing road trips in our state too! I have never visited West Virginia before, only Virginia. I wonder if people get annoyed that it isn't called East Virginia or something. Who knows. I bet they are both lovely. I will be honest and be a little ignorant to kinda not know that it was two different states. I guess I never paid attention but thanks for the clarification. Haha I can see how some people might get confused that these are actually two different states. This sounds like a cool technology destination! I've never been to West Virginia but it's amazing that technology is booming there! Wow, I would be amazed at such a large structure as well. It's very interesting and an intriguing spot for sure. You are right, Virginia is a big state. It is always nice to travel and we love road trips as you get to see so many things while on the go. West Virginia seems nice and we are yet to visit this place. I loved road trips with my kids when they were still young. Now that they are grown ups, they have their own road trips with their friends or special someone. Hopefully, we can do one road trip as a family before summer ends. Thanks for sharing photos of your beautiful state.